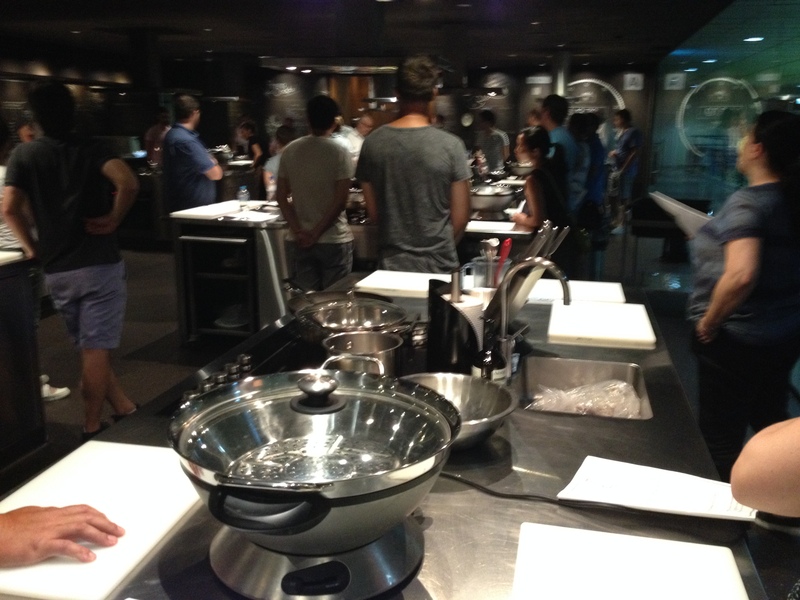 The Sydney Seafood Cooking School at Sydney Fish Markets has a reputation as a premier seafood cooking school and it is well deserved! 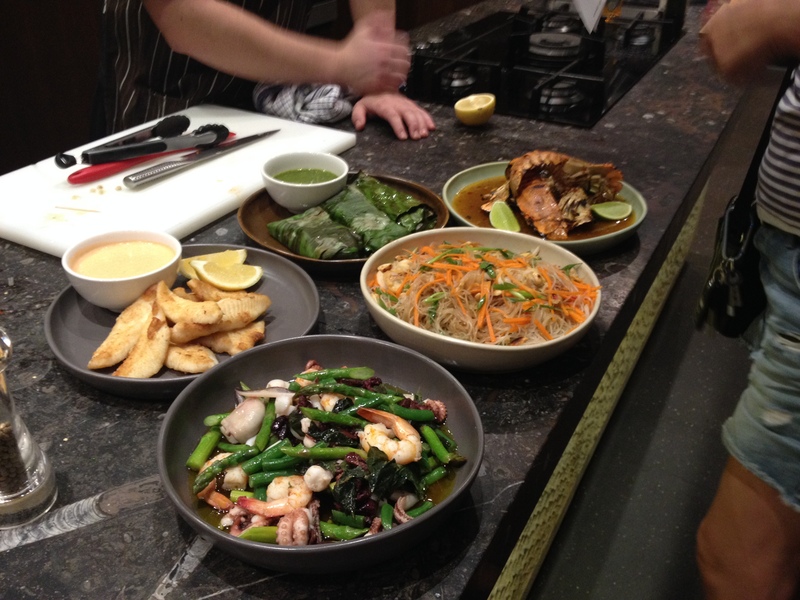 A friend and I recently attended a seafood cooking class and we were treated to some stunning dishes. The class started with students in a lecture style theatre. 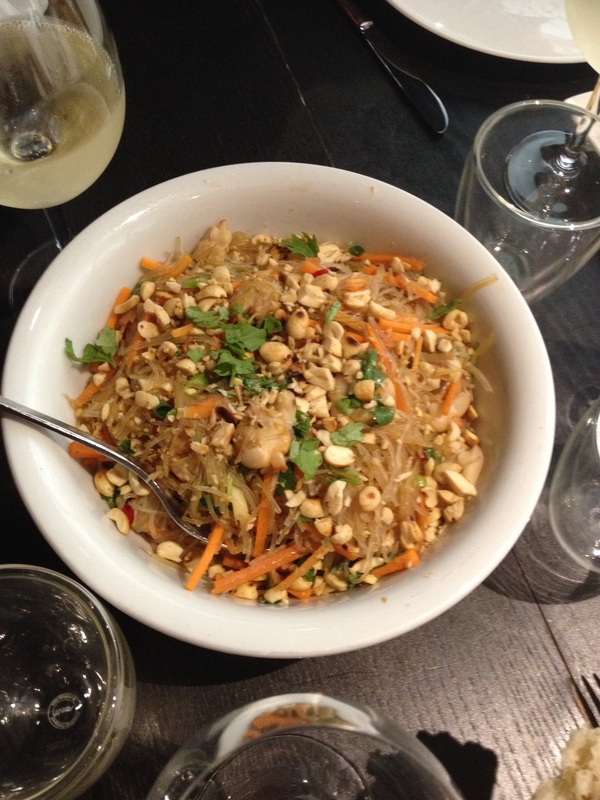 The chef demonstrated each dish, noting any key points. Armed with our recipe booklets and aprons, we moved into cooking stations, with shiny new utensils and raw ingredients waiting on a nearby trolley. 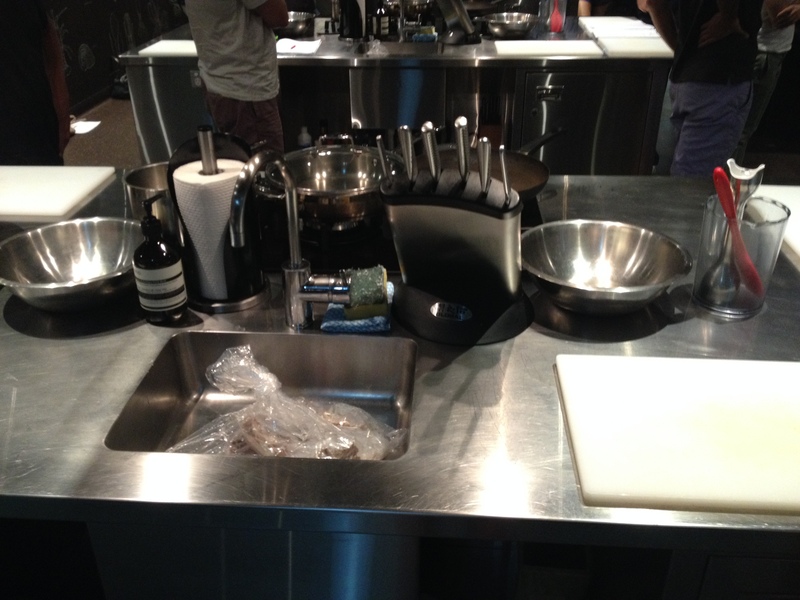 Our newly formed team got to work transforming these raw ingredients into yummy dishes. There was a frenzy of activity over the next couple of hours, with blenders, woks, BBQ grills and ovens working hard. Nearby the dining room awaited us. 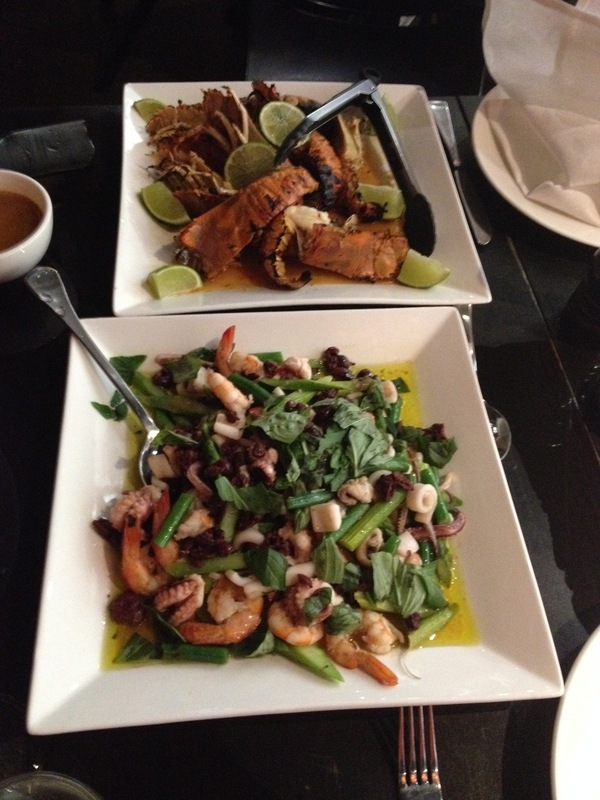 We set the tables and proudly presented our beautiful dishes to share amongst the team. The school provides all the equipment and ingredients needed, wines to sample with the food, and coffee and chocolates to end the meal. There were even takeaway containers provided for leftovers. And on the way out, we checked out the fabulous fresh seafood at the Sydney Fish Markets. A very nice day!